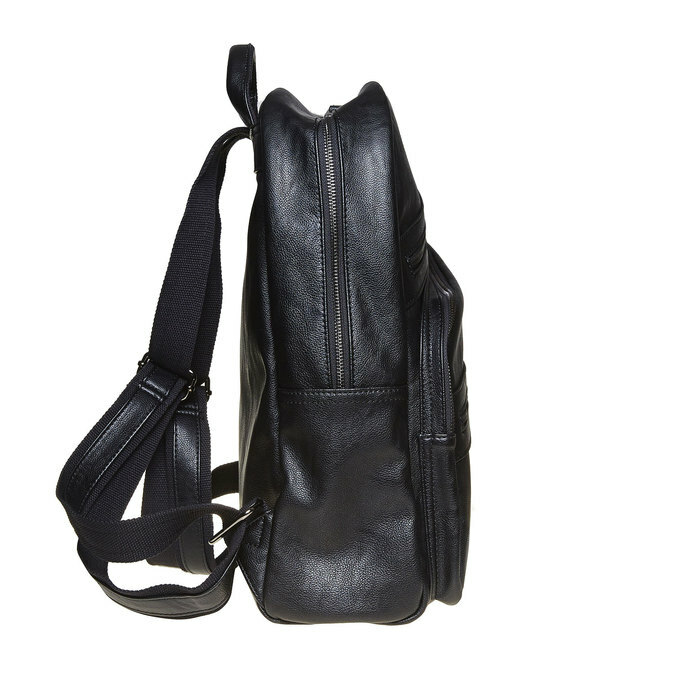 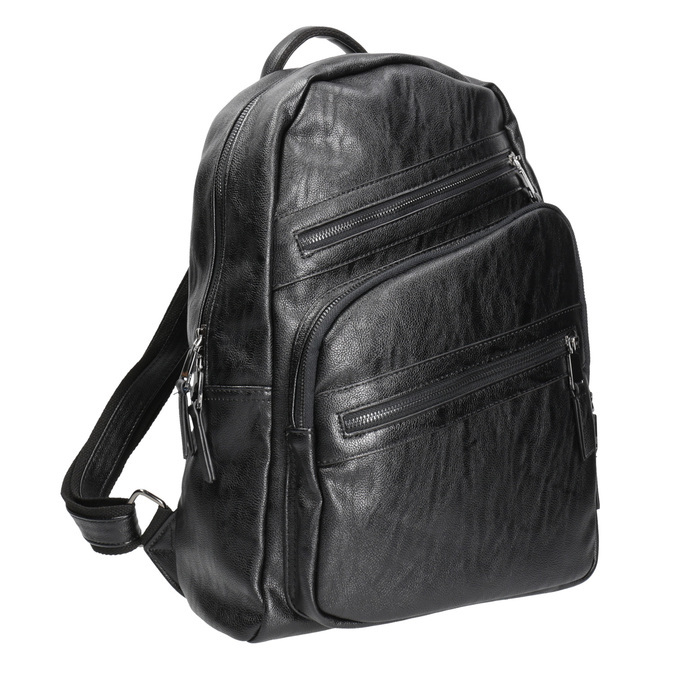 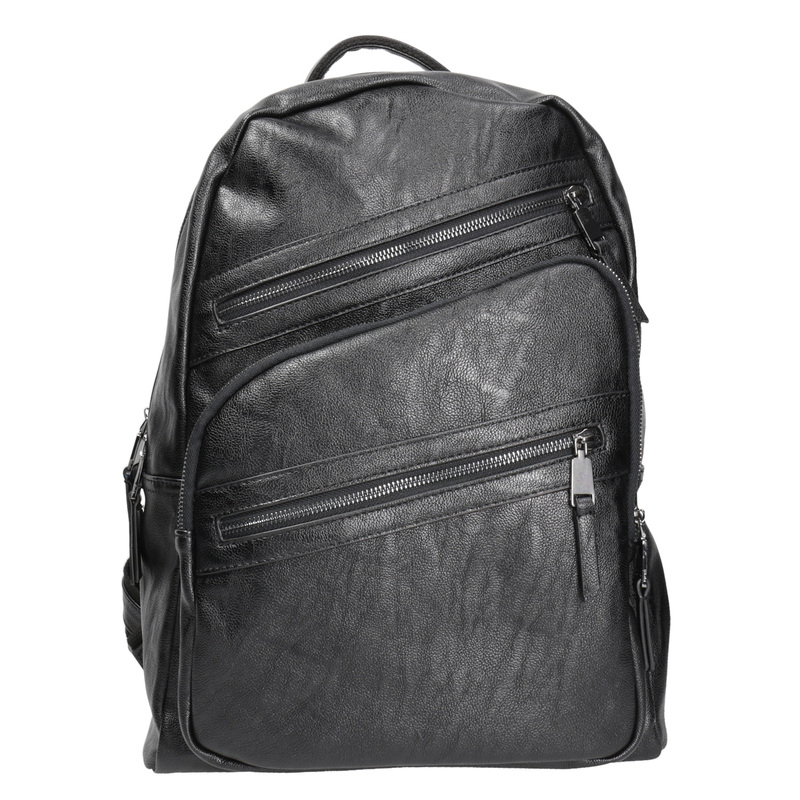 This stylish leatherette backpack has a padded pocket inside for a laptop or tablet. 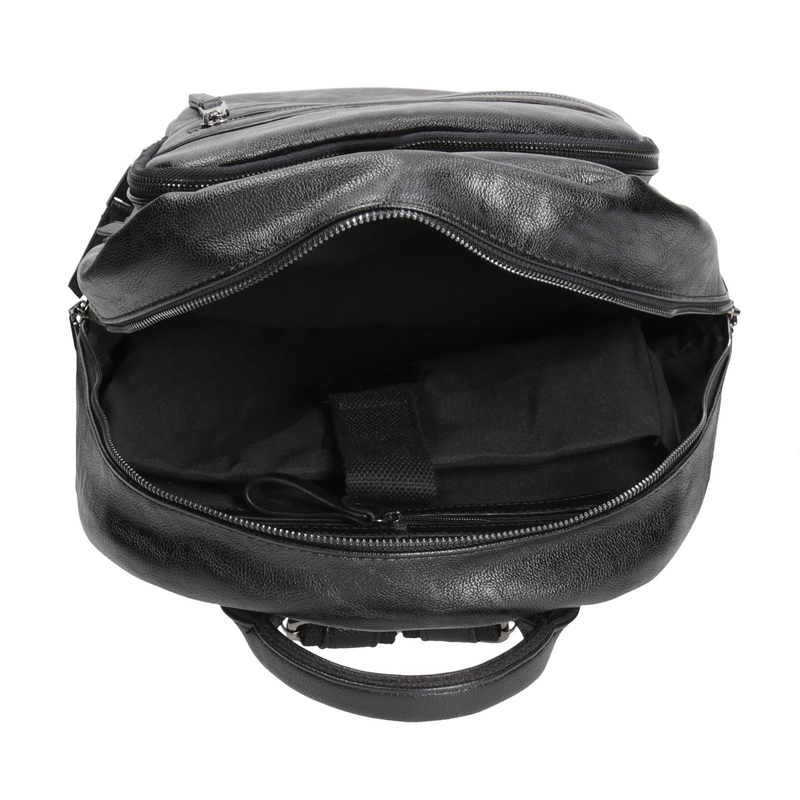 There is a pocket on the front, as well as two asymmetric zips. The textile straps can be adjusted as needed. 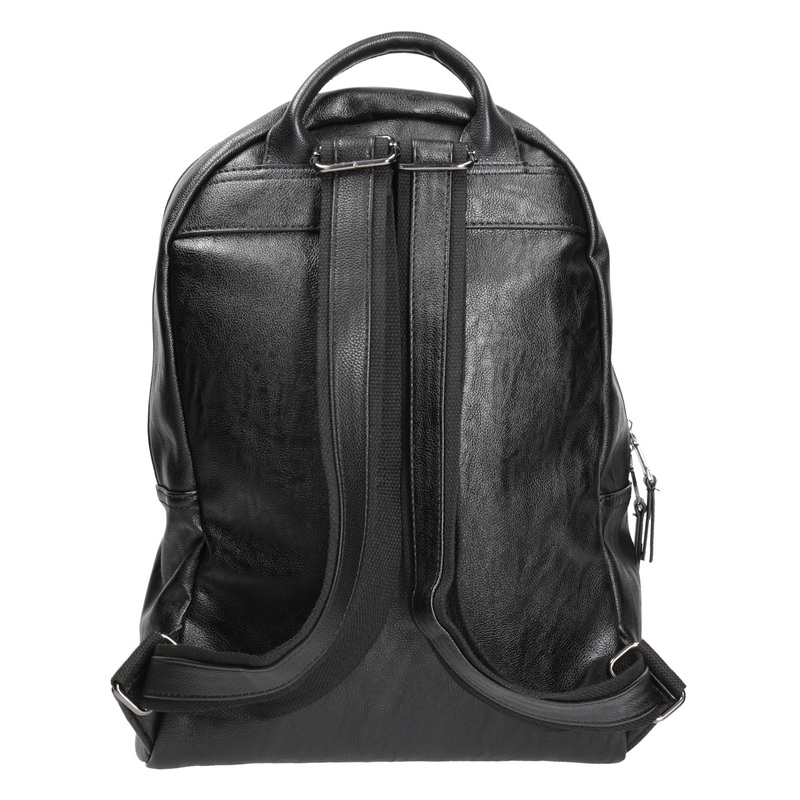 A timeless accessory suitable for the office or for travelling.